"The median is the midpoint at which half of the houses sold for more and half for less. Figures are compared year over year because of the seasonal nature of home sales." This just in from Telegram Tribune and Corelogic: The number of homes sold in San Luis Obispo County in December matched the number sold in the same month the previous year, while the median sales price of those homes also remained the same, $500,000. Total sales, including new homes, resale single-family homes and condos, tallied 389 in December, the same number of homes sold in December 2015, according to Irvine-based data company CoreLogic. The median price of those homes remained steady at $500,000. In San Luis Obispo County, 73.9 percent of all sales in December were resale single-family homes, according to CoreLogic. Resale single-family home sales increased 0.4 percent to 286 units sold in December from the year-earlier month. The median price of these resale homes rose by 2.1 percent to $515,000. The number of condos sold in the county was 47 units, up 9.3 percent from December 2015. The median price for condos was $400,000, up 22.3 percent from a year ago. Sales of new homes decreased by 8.2 percent in December, with 56 units sold, compared with 61 the previous year. The median price of new homes sold increased by 4.9 percent year over year to $584,500. 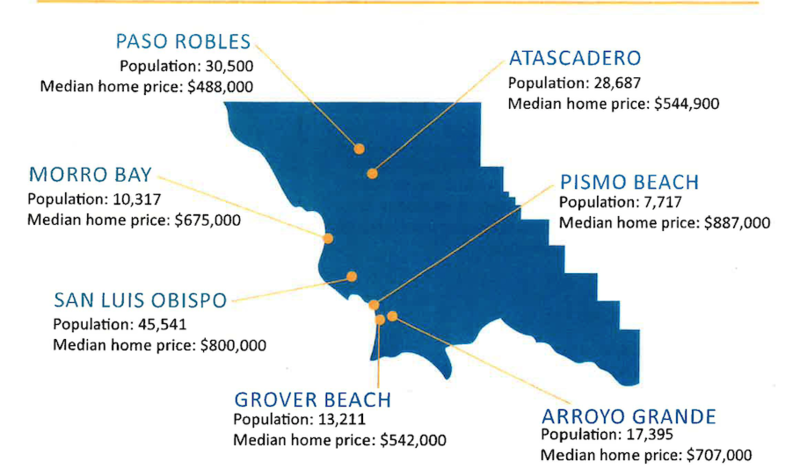 Overall San Luis Obispo median home price rises to $473,500, up 5.5 percent from the same month a year ago. 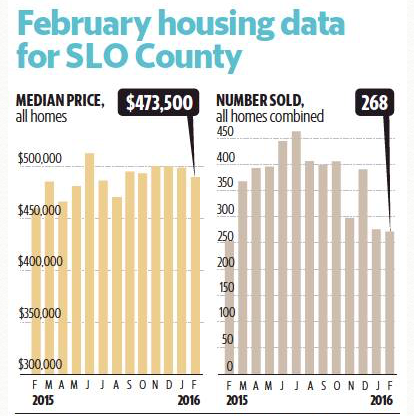 Overall San Luis Obispo home sales in the county increase to 268 in February, up 1.5 percent from a year earlier. Please contact Monique to find real estate and homes for sale in San Luis Obispo. Take advantage of a housing market that continues to rise in one of the best places in the world!